At the conclusion of the Boston Red Sox’ disappointing 1993 season, general manager Lou Gorman, manager Butch Hobson, and assistant general manager Mike Port met with a couple of the team’s controlling partners, Haywood Sullivan and John Harrington, to talk about the status of the team and coaching staff. The quintet resolved to make a couple of changes to the coaching staff but, Gorman felt, left the employment status of pitching coach Rich Gale unresolved. Several days later Harrington called Gorman to ask if he had begun the process of considering Gale’s replacement. When the general manager responded that he thought Gale could remain, Harrington quickly disabused him, telling him he thought that they all understood that the decision had been made to bring in a more senior pitching coach. Gorman was once described as “chubby, kinetic, rather trim … and affable and reasonable,” and one of the most common words used to depict him was “optimist.” Longtime baseball executive Joe McIlvaine said, “Lou’s a builder. He’s also the ultimate optimist. He never sees an empty glass, it’s always half full.” 2 Gorman turned these qualities into a relatively successful tenure with the Red Sox, but the Gale episode encapsulates many of the difficulties at his two major-league GM stints, some inherent in the chaotic front-office structure he inherited and some due to his own limitations. For example, why was ownership getting involved in coaching decisions, and why for that matter wasn’t Gorman letting his manager take the lead on finding replacements? Why wasn’t Gorman aware that Hobson had rehired Gale when he clearly expected to be part of the process? Why didn’t Gorman push back harder at his owners when they were doing something he strongly objected to within his sphere of operations? Unfortunately for Gorman, both of his GM opportunities occurred in organizations with muddled and overlapping lines of authority, and he never proved particularly adept at managing through and around the hierarchy. After high school Gorman gave professional baseball a try, playing one season in 1948 with his hometown Providence Grays in the Class-B New England League. Unfortunately, Gorman struggled at the plate, logging only one hit in 28 at-bats, which quickly ended his professional career. Instead, Gorman accepted a basketball scholarship to Stonehill College in Easton, Massachusetts, where he was also captain of the baseball team.7 After graduation in 1953 Gorman joined the Navy. He had always loved boats and sailing, and the Navy seemed a natural spot for military service as the Korean War was winding down. When Gorman left the Navy eight years later, he decided he wanted a job in baseball. He took a twoweek course at the Mitchell Mick Baseball School, learning to run a minor-league baseball operation, and headed off for the December 1961 winter meetings. Toward the end of the meetings, a chance introduction in the hotel bar landed him the general manager’s job for the Lakeland Giants, San Francisco’s Class-D affiliate in 1962. The next year Gorman advanced up the minor-league chain, accepting a position as the GM for Kinston in the Class-B Carolina League in the Pirates system. Gorman was slowly making a name for himself, and Orioles farm director Harry Dalton hired him to be his assistant for 1964. On its way to becoming baseball’s model organization, Baltimore was a perfect spot to learn the business of building a major-league team. At the time the team was instituting the “Oriole Way,” a blueprint to systematize scouting, training, and conduct throughout the organization. Gorman recognized the value of this approach, bringing the concept with him to next major-league stop, in Kansas City. Regrettably, Gorman could never establish an overall philosophical approach in his two stints as a major-league GM, partly because he never had full control over the front office. A couple of years later when Dalton was promoted to Orioles GM, he elevated Gorman to farm director. In this role Gorman oversaw a number of well-respected future pennant-winning big-league managers in their minor-league apprenticeships, men like Earl Weaver, Darrell Johnson, Jim Frey, and Joe Altobelli. He also married Mary Louise Kelly, with whom he remained for the rest of his life; the couple had no children. The four-team expansion for the 1969 season offered Gorman an opportunity for a new opportunity and a significant pay raise. Kansas City general manager Cedric Tallis brought Gorman in as director of minor league operations to be one his key lieutenants. In conjunction with scouting director Charlie Metro, Gorman put together the Kansas City Royals Instructional Manual to highlight how each defensive play should be executed. With his background in the highly successful Oriole Way, Gorman advocated consistent instruction throughout the Royals organization. Gorman also brought along a young assistant from Baltimore named John Schuerholz, just two years removed from teaching junior high school and destined to become one of baseball’s greatest general managers. Owner Ewing Kauffman also had Gorman oversee his pet project, the Kansas City Baseball Academy, after Thrift resigned. Although some in the organization felt the Academy was too independent and that it siphoned off too many resources from the regular minor-league organization, Gorman was sympathetic to the training: “The Academy staff developed some excellent methods of instruction and solid theories in teaching certain skills at all levels of the game. The players in the Academy program were all fundamentally sound and well drilled.” 10 By 1973, however, while the Academy had produced several prospects, it had become too costly for its limited return and Kauffman reluctantly shut it down. For the next several years Gorman remained an important senior executive in the Royals front office, reporting to new general manager Joe Burke. When the Seattle Mariners came calling in April 1976, offering Gorman the opportunity to build his own team, he jumped at the chance. Seattle had just been awarded an expansion franchise to short-circuit a lawsuit filed for allowing the previous expansion team to leave in early 1970 after just one season. With a new stadium, the Kingdome, in its preliminary stages, the area had made a commitment to baseball and demanded a franchise. Regrettably, in its haste to settle the lawsuit, the American League selected an undercapitalized ownership group. The partnership, led by comedian Danny Kaye, consisted of six men who put up just $30,000 each for the down payment and borrowed much of the $5.53 million purchase price from the league. With the advent of free agency that same year, deeper pockets would soon be required to adequately run a major-league franchise. Moreover, the scale of the partners’ improvised approach to capitalizing the team can be inferred from their surprise when told they would have to shell out additional funds to fill out the standard complement of minorleague franchises after starting with just a Single-A and shared Triple-A team. Calling on his Kansas City experience, Gorman put together a plan of action featuring five key elements. While one can quibble with the order — settling on an organizational philosophy might rightfully come before picking a manager — it shows a methodical and reasonable approach to the problem of building an expansion franchise. True to his outline, Gorman hired a solid, relatively large scouting staff (including Jerry Krause, later to gain fame as the general manager for the Michael Jordan-era Chicago Bulls), bought in Bob Kennedy, most recently with the Cardinals, and landed Mel Didier from the Dodgers as his key lieutenant on personnel matters. He also named Darrell Johnson, whom he knew from his Orioles days and who had led the Red Sox to the 1975 American League pennant, as manager. The owners remained intimately involved, with Kaye, Gorman, and Johnson collectively deciding on Johnson’s coaching staff. Gorman liked Kaye, a brilliant, unique individual, who demanded explanations from his baseball executive and learned the business quickly. As the team prepared for the expansion draft, Gorman outlined his player philosophy for Kaye. “Probably the most important of many qualities, in my option, would be self-confidence and mental toughness,” Gorman told him. “Next I think that commitment, drive, and toughness are important. If an athlete can combine these intrinsic characteristics with aggressiveness, enthusiasm, and leadership potential and extraordinary skill, we have a future Hall of Famer.” 14 Unfortunately, not many of these would be available in the expansion draft. Gorman continued to try to build an organization and stock it with capable players during the offseason. By early in the 1978 season, however, it became clear that all decisions were really being governed by their effect on the franchise’s constricted finances. In May Vertlieb was forced out, and 30-year-old Kip Horsburgh, originally hired as director of sales and marketing, was put in charge of the organization. Gorman was finally given the general-manager title. Gorman and his scouts wanted to draft future star Kirk Gibson with the sixth pick in the 1978 June amateur draft, but were overruled by an ownership that didn’t want to meet his price. Instead the team selected outfielder Tito Nanni. Even here Didier needed to resort to financial subterfuge to increase the compensation necessary to sign Nanni. When Horsburgh uncovered the unreported additional guarantee he fired Didier. (Didier later wrote he had Gorman’s acquiescence but protected him when their dodge was exposed.18) Nanni’s eventual stagnation in the minors only further mocked this sorry organization. In January 1979 Seattle again changed top executives with Dan O’Brien taking over for Horsburgh, further limiting Gorman’s scope of authority. Gorman was now GM in little more than name only as O’Brien would essentially run baseball operations, even making road trips with the team. In fact, in 1980 Gorman’s only journeys for the team were to spring training and the GM meetings. Moreover, he was not informed in advance when O’Brien fired Johnson or when he hired Maury Wills to replace him. 19 When Frank Cashen, recently named GM of the New York Mets, called Gorman to gauge his interest in becoming his key baseball lieutenant as VP of baseball operations, Gorman happily accepted the opportunity to rejoin his former Baltimore colleague. Cashen was determined to build the Mets in the image of the Orioles from the 1960s: scouting, player development, young pitchers, power, and getting on base. With Gorman effectively acting as assistant general manager, Cashen turned the floundering Mets into one of the league’s top teams of the late 1980s, winning 108 games and the World Series in 1986 and 100 games in 1988. But Gorman wouldn’t be around for the payoff. Gorman relished the challenge of turning around the Mets with Frank Cashen and believed he had been assured of the Mets GM job when Cashen eventually retired. Nevertheless, he was highly intrigued when his childhood favorite, the Boston Red Sox, approached him in December 1983. (At one time he even had a veteran vanity Massachusetts license plate with just the number “9” in recognition of childhood hero Ted Williams.20) After some soul-searching, he accepted the position of VP of baseball operations with the understanding that current GM and part-owner Haywood Sullivan would move up to an executive role within a year, naming Gorman GM. And in fact that is what happened. 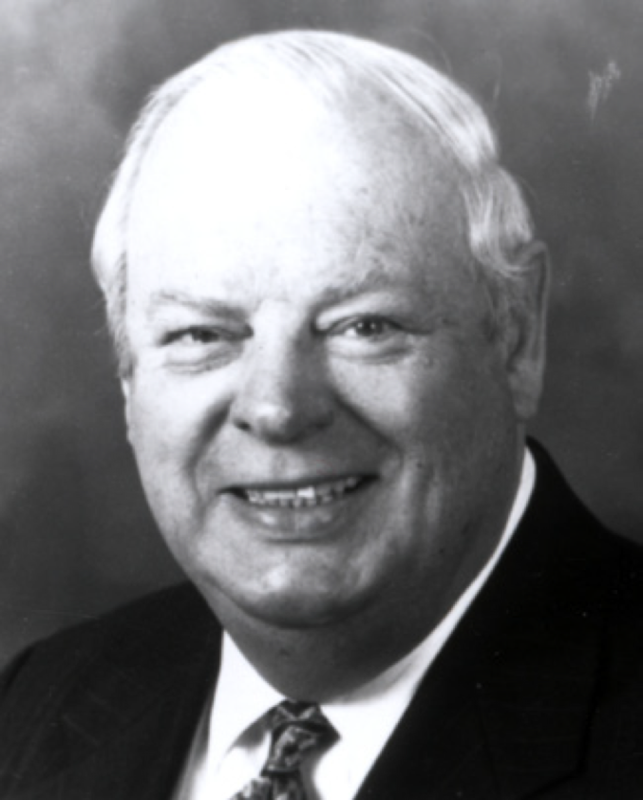 In June 1984, as part of an overall conclusion to a long-running takeover battle for control of the team, Sullivan was promoted to CEO and Gorman to GM. The team would now be overseen by the triumvirate of Sullivan, Harrington, and Jean Yawkey, widow of longtime owner Tom Yawkey and the source, through the Yawkey Trust, of most of the Red Sox capital. The team Gorman inherited had just finished 78-84 but had a number of positives heading into 1984: a pitching staff led by young hurlers Bruce Hurst, Oil Can Boyd, and Bobby Ojeda, and about to welcome Roger Clemens; one of the American League’s best players in Wade Boggs; and several still valuable veterans in Mike Easler, Jim Rice, and Dwight Evans. In his first significant move in May, Gorman swapped struggling veteran starter Dennis Eckersley (not yet the relief ace he was to become in Oakland) to the Cubs for veteran first baseman Bill Buckner, who provided a veteran presence for a few years. For the most part during his first couple of years at the helm, Gorman only tinkered at the edges. “I think the worst thing a new general manager can do,” Gorman said, “is to start making changes without getting to know what he has and what he needs. The first year was a learning experience for me.” 21 That the team jumped to 86-76 in 1984 also encouraged Gorman’s inaction. When manager Ralph Houk retired after the season, Gorman named John McNamara to replace him. After falling back to .500 in 1985, Gorman became more aggressive. His biggest deal sent a still-useful Ojeda among others to the Mets for several players, most notably hurler Calvin Schiraldi. More significantly, in August 1986 during the pennant chase, Gorman made one his best trades, surrendering little and landing two key contributors, shortstop Spike Owen and outfielder Dave Henderson. In 1986, led by strong seasons from outfield stars Rice and Evans and one of the decade’s best pitching seasons from Clemens, the Red Sox won the pennant. In the World Series against the Mets, a team he had helped build and still led by his old boss Cashen, Boston appeared to have won it before collapsing in Game Six in one baseball’s most notorious late inning breakdowns. The Mets’ follow-up victory in Game Seven left Gorman and most of Boston sorely disappointed. The Red Sox ownership also remained closely involved in contract negotiations with the players. As opposed to some franchises in which the GM is given a target budget and allowed to build a team, Sullivan and Harrington wanted review all significant contract proposals in advance. This became particularly exasperating for Gorman when Clemens held out for a salary increase after the 1986 season. Gorman took much of the heat for the dispute, and in the end Sullivan formally took over the negotiations for Boston and even Commissioner Peter Ueberroth needed to get involved. The team fell back in 1987, and with the club at 43-42 at the All-Star break in 1988, Jean Yawkey expressed her dissatisfaction over the performance of the team, telling Gorman to replace McNamara. During the offseason Gorman had added star closer Lee Smith, and a couple of good young outfielders developed in the Red Sox system, Mike Greenwell and Ellis Burks, were also now regulars. With Yawkey’s sanction Gorman named coach Joe Morgan the new manager, technically on an interim basis. To further bolster the team, at the 1988 trading deadline Gorman sent young outfielder Brady Anderson and farmhand Curt Schilling to Baltimore for pitcher Mike Boddicker. Boddicker was a valuable contributor to the Red Sox in 1988 and for the next couple years, but it was a heavy price to pay — both Anderson and Schilling went on to stellar careers. Under Morgan the club rebounded to capture the AL East Division title before falling to the Oakland A’s in the ALCS. Gorman had also hurt his cause by making another significant prospect-for-veteran trade (two years after the one for Boddicker), one that looked awful soon after he made it. During the 1990 pennant race, when Gorman felt he needed to strengthen his relief corps, he dealt minor leaguer Jeff Bagwell to the Astros to Larry Andersen. Gorman tried to live this trade down ever since, telling Bill Nowlin, “I had two scouts see him [Bagwell] and two managers see him plus we saw him in spring training, and no one plussed his power.”26 Nevertheless, at the time of the trade Bagwell had an .880 OPS as a 22-year-old in the Eastern League. Gorman was genuinely excited in 2004 when the Red Sox finally won the World Series, 86 years after their last world championship, and he enjoyed his role with the Red Sox. “I was and still am a member of the Red Sox team,” Gorman wrote in 2008. “And that was solace enough for me. … I am still involved and still loving every moment of it.”30 Gorman died three years later, on April 1, 2011, at 82 of congestive heart failure. During his first few years in Boston, Gorman’s good natured optimism, baseball smarts, and overall team success made him well-liked around Boston despite some rough press over the team’s various failures. When the team’s fortunes took a turn for the worse, Gorman’s folksy, open manner no longer seemed quite so endearing, and his interactions with the press became much more strained. He had successfully built a quality team around the nucleus that he inherited without surrendering any of his key performers. His farm system delivered enough replacements that the team won three division titles in five years even as some of his original nucleus aged out. The lack of comprehensive control over baseball operations coupled with the loss of several prospects and an ownership initially reluctant to spend in free agency made an already difficult task even more challenging. At his two big-league GM stints Lou Gorman never really had the chance to bring the systematic, detailed approach to team building he had learned in Baltimore and was again part of in New York. How he would have succeeded with less intrusive ownership is unknowable, but Gorman succeeded reasonably well within the context he was given. Maybe just as importantly, he spent 50 years in and around professional baseball, knew just about everyone, and left baseball better for having been a part of it. 1. Lou Gorman, One Pitch From Glory: A Decade of Running the Red Sox (Champaign, Illinois: Sports Publishing, 2005), 196, 201-206. 2. Joseph Durso, “Boston’s Gorman Helped Build Mets” (syndicated from New York Times), unidentified newspaper article in Gorman Baseball Hall of Fame file. 3. Gerry Callahan, “Sox Serve Big Lou a Big Deal,” Boston Herald, February 22, 1991. 4. Russ Conway, “Mr. Enthusiasm” (interview with Lou Gorman), Eagle-Tribune (Lawrence, Massachusetts), newspaper article in Gorman HOF file. 7. New York Times, December 27, 1982. 8. John Schuerholz, interview with author, March 11, 2013. 10. Lou Gorman, High and Inside: My Life in the Front Offices of Baseball (Jefferson, North Carolina: McFarland, 2008), 109. 11. Tracy Ringolsby, “Shipwrecked in Seattle,” Sport, March 1984. 12. High and Inside, 141. 13. High and Inside, 142. 14. High and Inside, 149. 16. Mel Didier and T.R. Sullivan, Podnuh Let Me Tell You a Story: A Baseball Life (Baton Rouge: Gulf South Books, 2007), 107. 18. Didier and Sullivan, 107-108. 19. Tracy Ringolsby, “G.M. Gorman Leaves Mariners,” The Sporting News, November 22, 1980; High and Inside, 178, 181. 20. Email from baseball historian Bill Nowlin, July 24, 2014. 21. Jim Vincent, “Here’s the Deal: Gorman’s Glad to Be Home,” New Bedford Standard-Times, October 6, 1986. 23. One Pitch From Glory, 44. 24. One Pitch From Glory, 165-167. 26. Lou Gorman, interview with Bill Nowlin, September 5, 2006. 27. Allan Simpson, editor, The Baseball Draft: The First 25 Years, 1966-1989 (Durham, North Carolina: American Sports Publishing, 1990), 267. 28. Amalie Benjamin and Chad Finn, “Lou Gorman; General Manager Built Contending Red Sox Teams,” Boston Globe, April 2, 2011. 29. Gordon Edes, “Former Boston GM Lou Gorman Dies,” ESPN.com, April 1, 2011. 30. High and Inside, 238.